The folks at Glass Half Full Theatre like to combine elements in their show. The combination of live performance and puppetry is a trademark of Glass Half Full, and they also tend to mix a little social commentary in with their comedy. The new work 'Simple Sundries' uses all those elements. Using an earlier short play about a woman and a pigeon as their basis, writers Caroline Wreck and Parker Dority crafted a full-length show that includes puppetry and physical comedy and also has something to say about the changing face of Austin's East Side. The woman is a shop owner who has opened a new store in East Austin with the best of intentions. The pigeon character has evolved into a monk parakeet whose home has been taken over by the new store but who has no intention of going quietly. 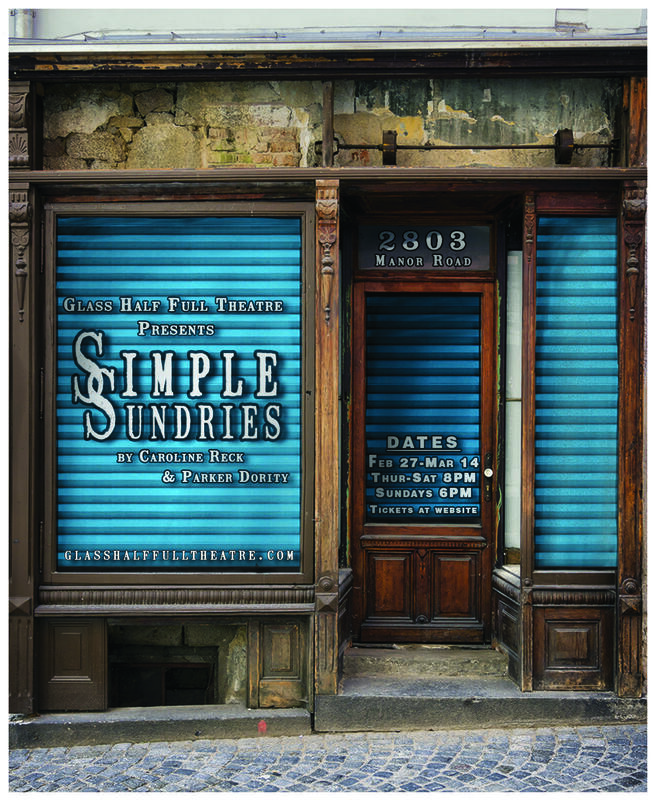 See 'Simple Sundries' through March 14 at Salvage Vanguard Theater. 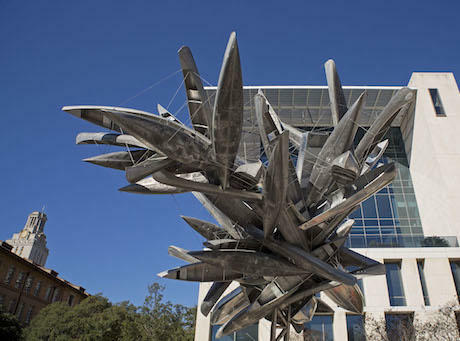 Since 2008, the folks at Landmarks have been commissioning and installing public art across the University of Texas campus. Piece by piece, they're turning the university into a self-guided outdoor museum space. The latest piece in the Landmarks series is also the largest. Monochrome for Austin, by artist Nancy Rubin, stands nearly 50 feet high and stretches across 24th street. It comprises around 75 kayaks, canoes, and small boats, arranged together to form an impressive whole that almost resembles a giant, otherworldly tree. The piece is so large that, when assembling it, considerations had to be made to ensure that it wouldn't block the path of any firetrucks. Justin Sherburn and his band Montopolis have been performing live film scores for a few years now, creating original music for silent films and documentaries. For their next project, though, they're playing the music of another composer, the legendary Ennio Morricone. In fact, the project began with Sherburn's desire to pay tribute to Morricone and grew from there. 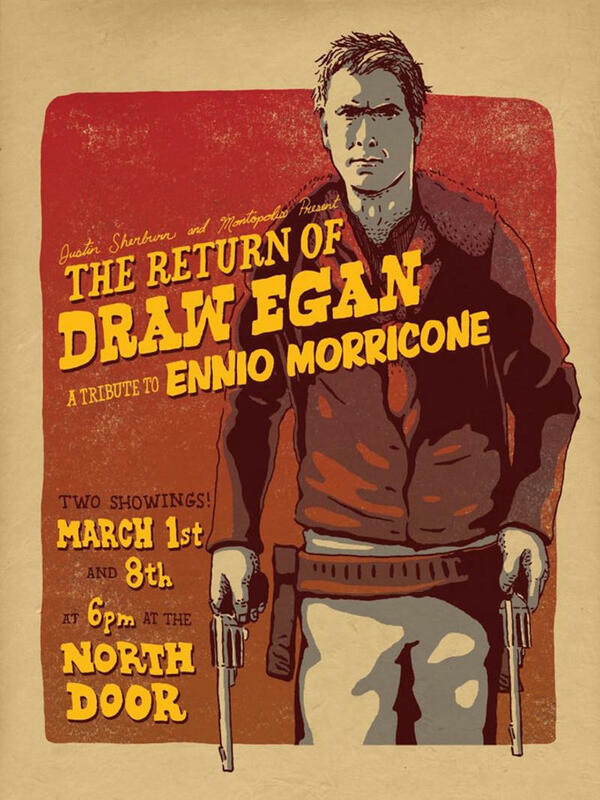 He selected the 1916 silent film western 'The Return of Draw Egan' as a canvas, largely because it contains all the elements you'd expect to see in a classic western (gunfights, love interests, bad men trying to go straight). Then he decided to add an extra layer to the project, by changing the existing title cards to something a little funnier, creating what is essentially a Mystery Science Theater treatment for the silent film. Once he sat down to start writing some comedy, Sherburn came to an important realization: he's not a comedy writer. 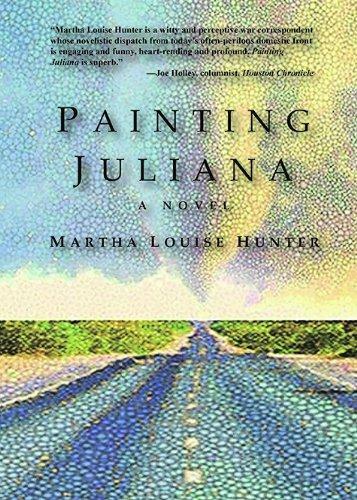 Austin author Martha Louise Hunter recently published her debut novel, Painting Juliana. The book has elements of magical realism, but it was inspired by actual events in Hunter’s life.